Love these stamps - from the champagne coupe glass overflowing with flowers to the grasses and meadow scene, they are all beautiful iages. Glenda has done it again. A beautiful set of stamps. They are so versatile and are perfect for many different types of projects. 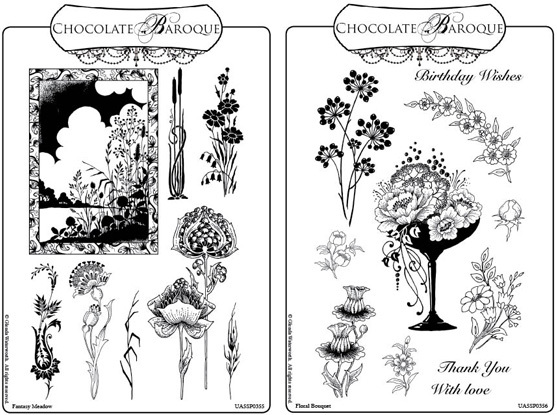 Of course they are the excellent quality we always get from Chocolate Baroque and they stamp perfectly.